Are you an Ohio University Credit Union Family Pass holder? Want to save on your hosting, ecommerce work & computer repair? As an OUCU Business Member, we’re partnering with OUCU to offer a special discount on our hourly rate for OUCU members who have a valid Family Pass. Take 10% off first three months of hosting and 10% off normal hourly rate for all other services. We are a comprehensive hosting and IT service provider including set-up, graphic design, website design and online shopping cart implementation. Take $5.00 off of Cardinal’s normal hourly rate, with no minimum required. Cardinal Computing services include graphic design as well as computer, laptop, smart phone and mobile device repair. On-site and drop-off service options available. Also, be sure to keep an eye out for a special special coming this July! This entry was posted in Events on May 25, 2016 by Carrie Saunders. This past Sunday was the 30th anniversary of a momentous event in the history of the Internet – the registration of the first .com domain. It seems hard to imagine something as pervasive as the Internet has only been around for 30 years. While I am able to remember how things were before the World Wide Web became a constant part of my life, there are people younger than me who have lived their entire lives with it. As such, I am sure some people are unable to imagine life without the Internet. This article from CBS News goes into a little more detail about the history of the dot com domain. I also found the following timeline from Verisign (which is included in the CBS article) extremely interesting. For example, I didn’t know that Amazon has been around since 1994 – shortly after the advent of the World Wide Web. This timeline is full of similarly interesting facts. This entry was posted in Around the Office, Blog, Ecommerce, Events on March 19, 2015 by Carrie Saunders. Happy New Year from the staff at BCSE! To help celebrate the New Year, BCS Engineering is having a sale! Any BCSE Mods will be 25% off starting at 12:01am EST on January 1st, 2015. This sale will last only until January 11th at 11:59pm EST, so take advantage of this offer while it is available! This entry was posted in Blog, Events, X-Cart on December 31, 2014 by Carrie Saunders. 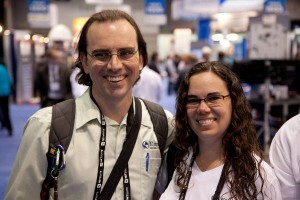 BCSE Business Partners Carrie & Brandon are always looking for ways to keep us current with the trends of the industry. This year is no different, as they recently traveled to IRCE where they were able to meet with some of our customers as well as X-Cart Staff. It’s always exciting for us to be able to meet the people that have been a part of our business for years! Not only was it a great time learning about some very interesting new technology, but socializing with those that are an important part of our company always makes the trip worthwhile. Stay tuned for updates on what we learned at the conference and how it can help you grow your business! This entry was posted in Blog, Ecommerce, Events, Magento, X-Cart on August 18, 2014 by Carrie Saunders. Want to meet the Owners of BCSE? Come Join us at IRCE 2014! We will be attending IRCE again this year! It’s the world’s largest eCommerce event! You can get great tips and tricks to moving your eCommerce site to the next level! We will be also hanging out with the X-cart gang and other 3rd Party Developers at their Annual X-cart Beer meeting. There are only a few tickets left! Join us June 12, 2014 as we socialize, answer questions about eCommerce and our business. Here we are in April 2014 right after I completed the Triathlon and after Brandon completed a Mudrun at the OU Race for a Reason charity event. This entry was posted in Blog, Ecommerce, Events, Magento, X-Cart on July 7, 2014 by Carrie Saunders. Wow. Just before we were getting up to have our monthly staff meeting (3 weeks late! you guys have been keeping us busy! ), several of us felt our desks shake and heard the ceiling tiles shift! Apparently a small town just 9 miles away from us had a 3.5 earth quake! We don’t know yet if there’s been any damage but that was really bizarre for us since they aren’t frequent in Ohio! Check out the earthquake info. This entry was posted in Around the Office, Blog, Events on July 3, 2014 by Carrie Saunders. 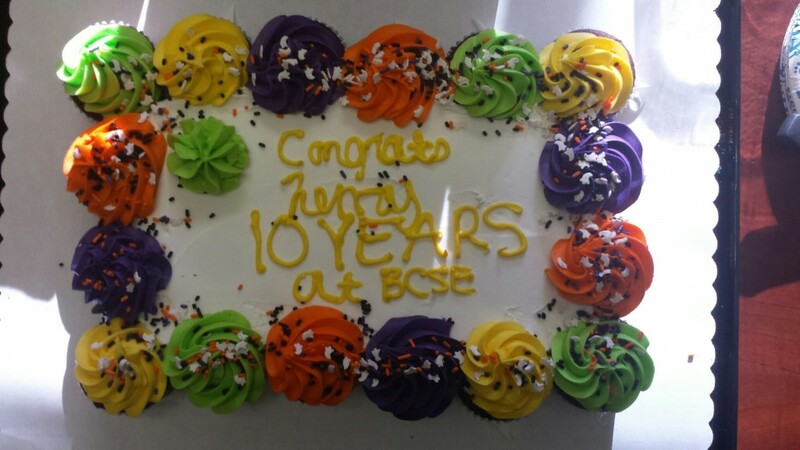 Today BCSE turns 11! We wouldn’t be here with out you! Newsletter subscriber? If you’re a newsletter subscriber, check your email later today for an even BIGGER coupon off! In our we Turned 9 entry, I describe a bit about our history. Did you know that we thought of BCS Engineering while driving our then 10 month old child to his grandparents? I can still remember where we were on the road that day when we came up with our idea and name. It’s like a photo snapshot in my head of me looking at us in the car at that moment. Since that day our lives have greatly changed. We are so thankful to have you, our customers and our friends, as part of our lives! Carrie & Brandon will be attending IRCE (Internet Retailer Conference & Exhibition) 2013! Carrie is featured as a key X-Cart Community person at the X-Cart Beer Meeting in Chicago on 7th June, 2013. Click here for more information on the event. This entry was posted in Blog, Events on July 3, 2014 by Carrie Saunders.